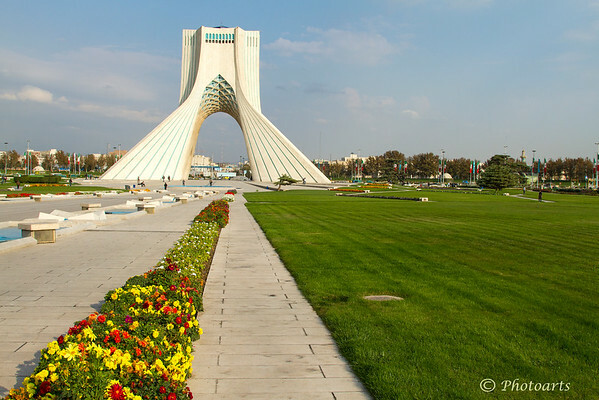 Designed by world renowned architect Hossein Amanat, this monument in Tehran was originally named 'Shahyad' or in honor of the king (Shah) but is now know as Azadi (freedom) monument at the center of the square with the same name. More than anything it has been a symbol of changes in Iranian society in recent decades. Great capture of this amazing looking monument. Outstanding shot of the beautiful monument!